Step 4: What type of Sink? 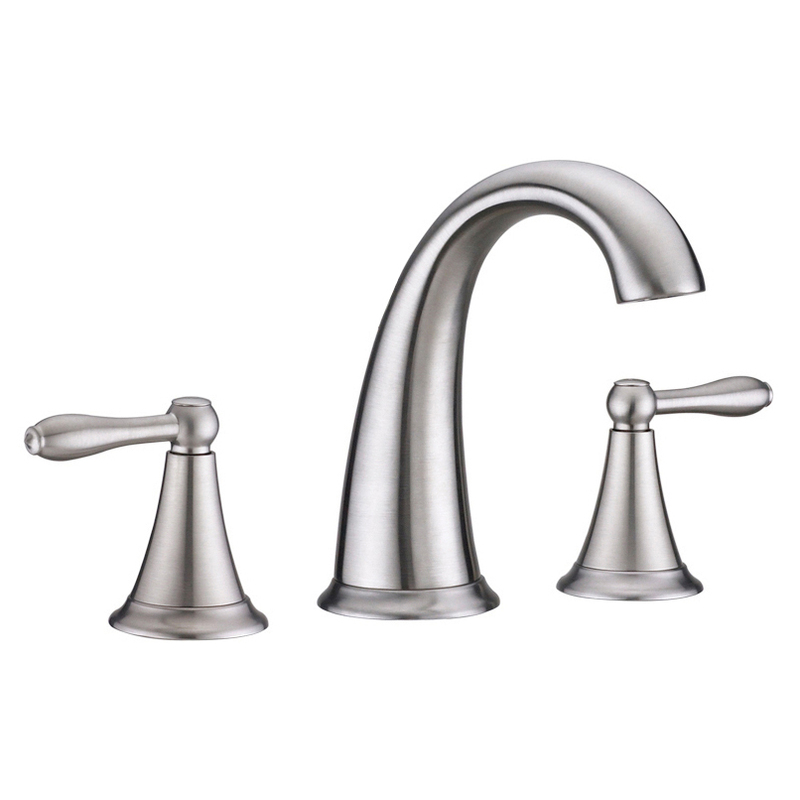 Step 6: What Type of Faucet? 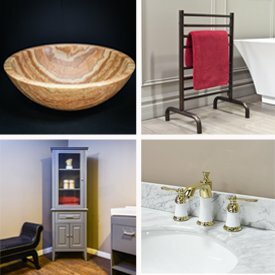 There are no set rules when choosing a bathroom vanity. Generally the size of the room dictates the size of the vanity and correlates with who will be using the vanity. Adults, kids, guests? One of the most important things to consider is who will be using the vanity. It’s easy to simply want a beautiful vanity, but you should consider functionality as well. If it is your master bathroom, you might want to go for a nicer vanity as you will be using it a lot. If kids will be using the vanity, you might want to consider shorter heights for the vanity. A floating or wall mounted vanity will be a good option since it will be able to adjust it to a neutral height so that both adults and kids can use it. Knowing which room your bathroom vanity will be located is very important. This determines what size you need to measure in order to fit the space you choose. Smaller vanities are more suitable for powder rooms whereas larger vanities will most likely fit your master bathroom. A powder room is typically the smallest room in the house and can only accommodate a small vanity. The powder room is not used for bathing so there is no need to store bath towels, shampoos and hair dryers. A single sink vanity with just the right amount of storage space would be efficient. A vanity in the 24” to 36” single basin configuration would be ideal. A wall mount floating vanity can give a small room the illusion of a bigger space. A guest bathroom normally has a shower and or a bathtub. This type of bathroom would typically have more space for a larger vanity. Children, teenagers and adults would most likely use this bathroom so space and storage is a priority. A 48” single basin or a 50” double basin vanity would be recommended for this type of bathroom. A vanity with plenty of storage space for toiletries, linens and other items would help reduce the clutter. The master bathroom is the focal point of any home. Typically the biggest bathroom of the house uses a full size vanity. 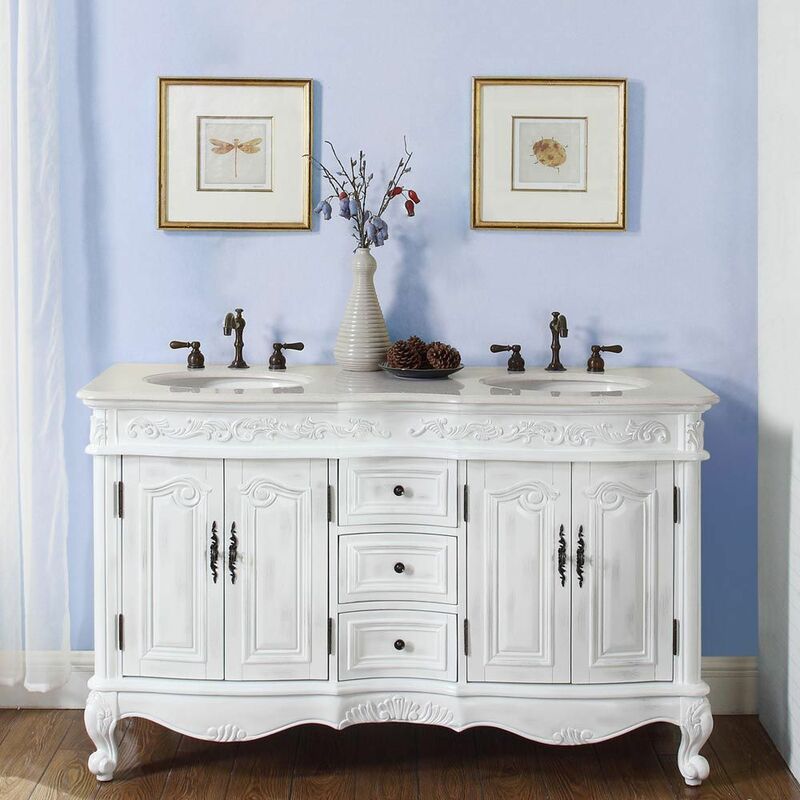 A double sink vanity from 72” to 126” will showcase this domain. A generous amount of storage space and functionality is important. Normally used by the two important people of the house, each has to have their own abundant space. Decide whether you want a freestanding or a wall-mounted vanity. A freestanding vanity is easier to install and will give you a classier and more traditional look depending on the style of the vanity. 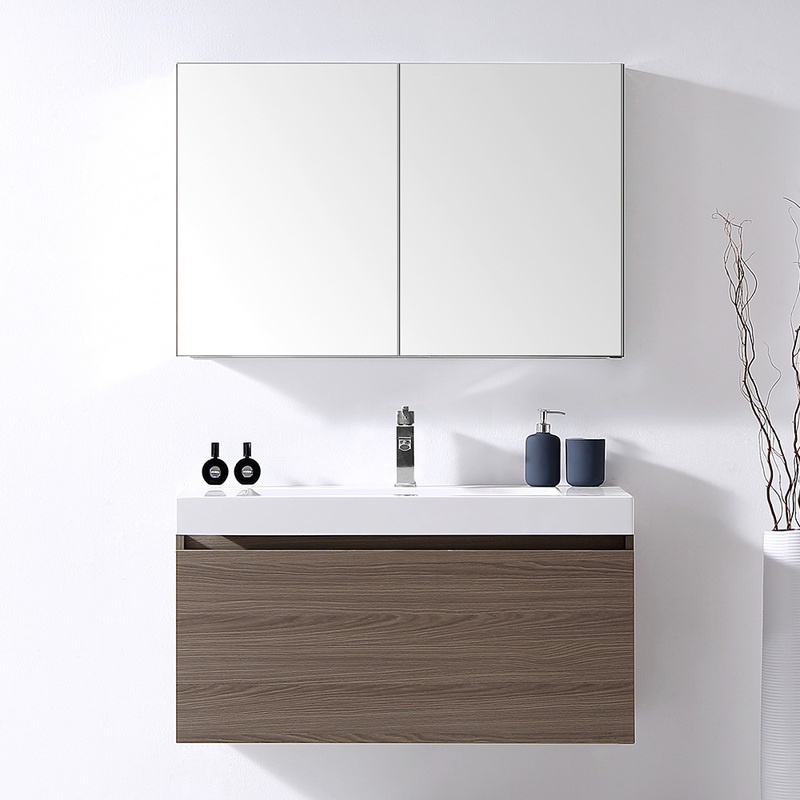 Floating or wall-mounted vanities might require some professional help but the modern look and height flexibility are great benefits to consider. Simple, clean-lined design that will work with a wide variety of styles. Streamlined design with clean styling and sometimes sharp angles and bold shapes. Classic design with detailed elements, ornate aspect and unique hardware. 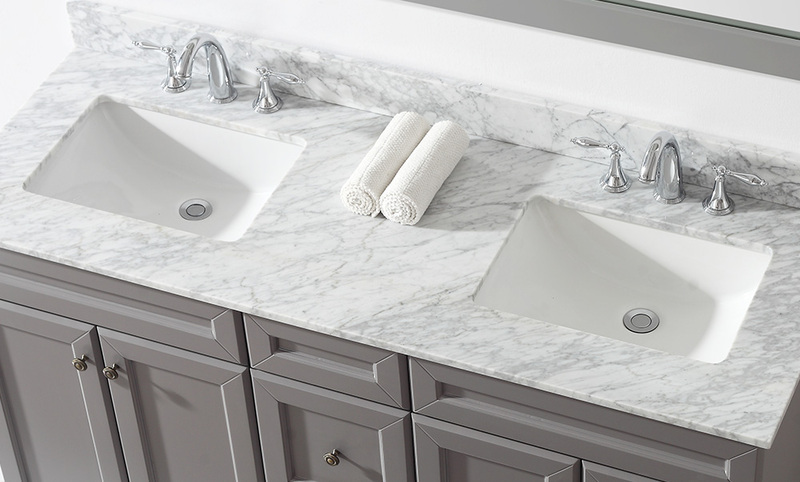 Once you’ve determined the size and style you want for your vanity, you need to decide how many sinks you want. Having one sink allows for a more personalized experience and better for smaller bathrooms. Two sinks allow for more usability if you have a large household. Two household members will be able to use the sinks at the same time. There are many options when choosing a type of sink. 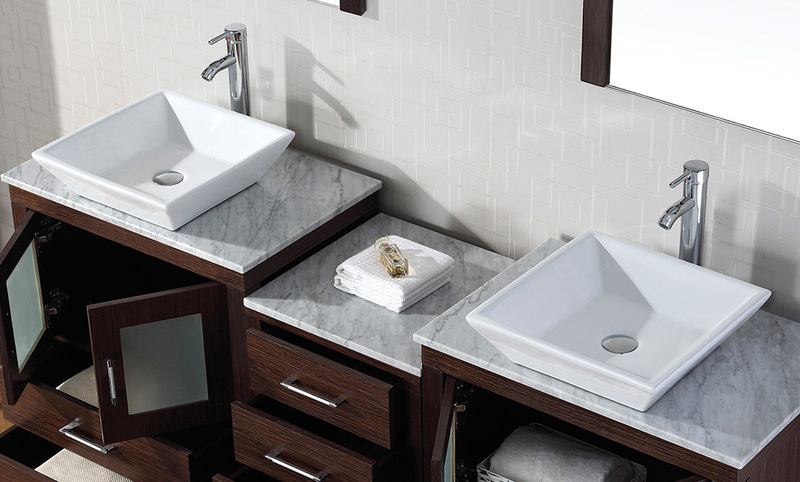 It also depends on what kind of vanity as some come with an exclusive type of basin. Some come in a choice of round or square shape. A round basin offers a more traditional look while a square basin is more modern. This sink is designed to mount under the countertop. 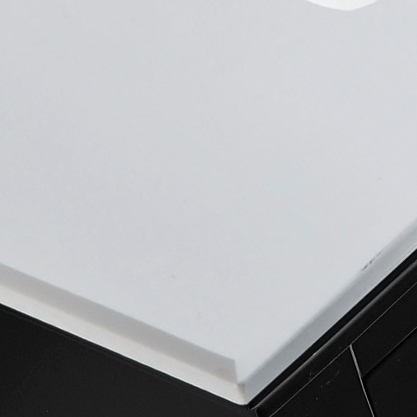 With its cleaner appearance and no exposed edges, this type is much easier to maintain and clean. Most have a choice between a round or square basin. This is the most common type of sink for a vanity. This type of sink comes built in the countertop. The advantage to this type of sink is that it is easier to install. Since the sink and the countertop are all in one piece, it is also easy to maintain and clean. Some are made of a Polymarble material and others are made of Porcelain. They withstand better to stains than a porous stone material. 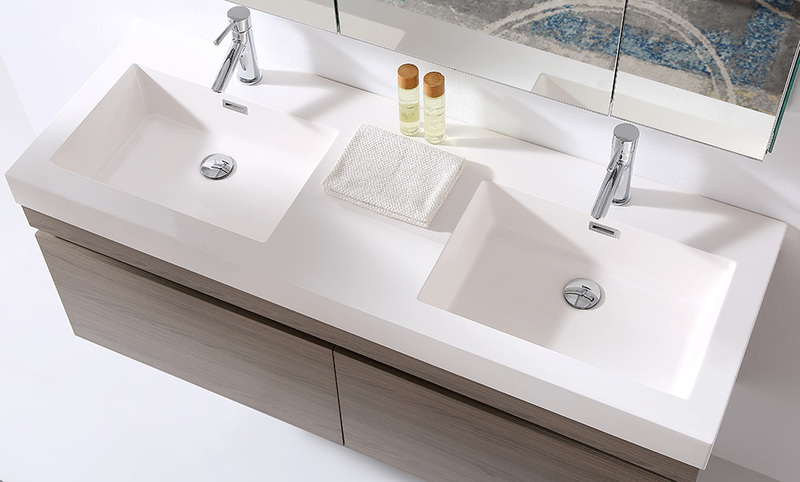 Most integrated basins are designed for a modern vanity. Typically a bowl shaped basin that sits on top of the counter surface. 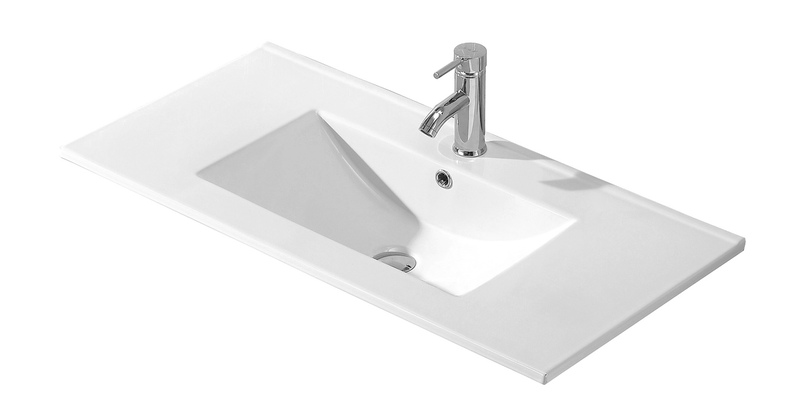 These type of sinks come in a variety of shapes, sizes and material. 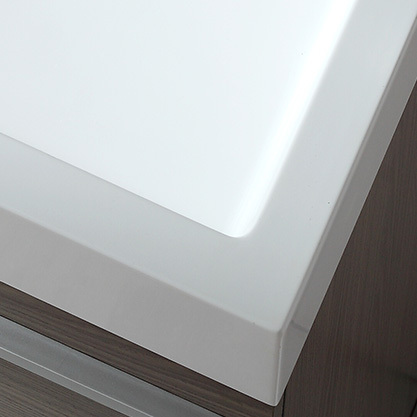 The most common type of material used for vessel basins are glass, porcelain or natural stone. They also come in an assortment of colors and designs to match the décor and look you want to achieve. Your remodel project is not complete without a countertop. 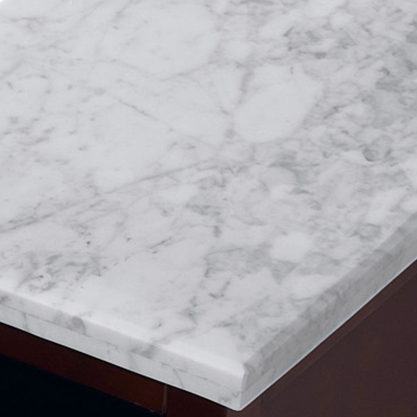 There are many different types of countertop materials from many different price ranges. Here are a few that we recommend. 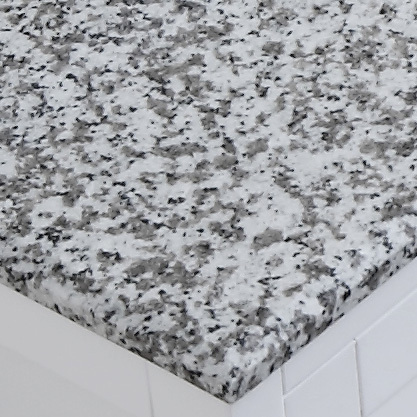 For those looking for luxurious bathroom countertops should look for granite countertops. These countertops are durable and long lasting while still capable of giving a beautiful elegance to any vanity cabinet you choose. Many buyers are attracted to the beauty of marble countertops. Just like granite countertops, marble countertops give off a rich and sleek look at an affordable price. While the beauty of marble countertop is an advantage, the disadvantage is that they stain easily compared to granite. These are man-made, non-porous countertops that are manufactured with a higher content of natural stone powders. They are non-porous and have the advantage of being stain-, mildew-, and germ-resistant. Poly-marble is a mixture of polyurethane resin and natural marble power to create a durable surface that is resistant to scratches and dents. A single handle faucet has one lever to control the pressure and the temperature. These kind of faucets can be used with almost all types of sink options. 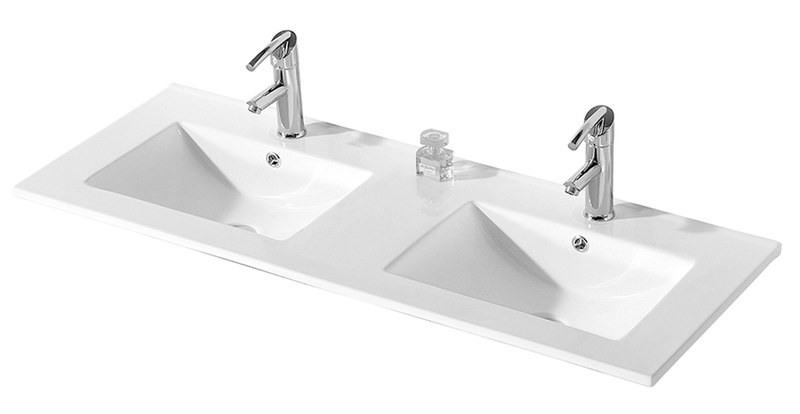 These are more commonly used with vessel basins but current trends offer them nowadays with undermount sinks as well. This type of faucet consist of two handles and a spout. They are intended for sinks and countertops with three pre-drilled holes 8 inch apart. These are the most common type used in undermount sinks. 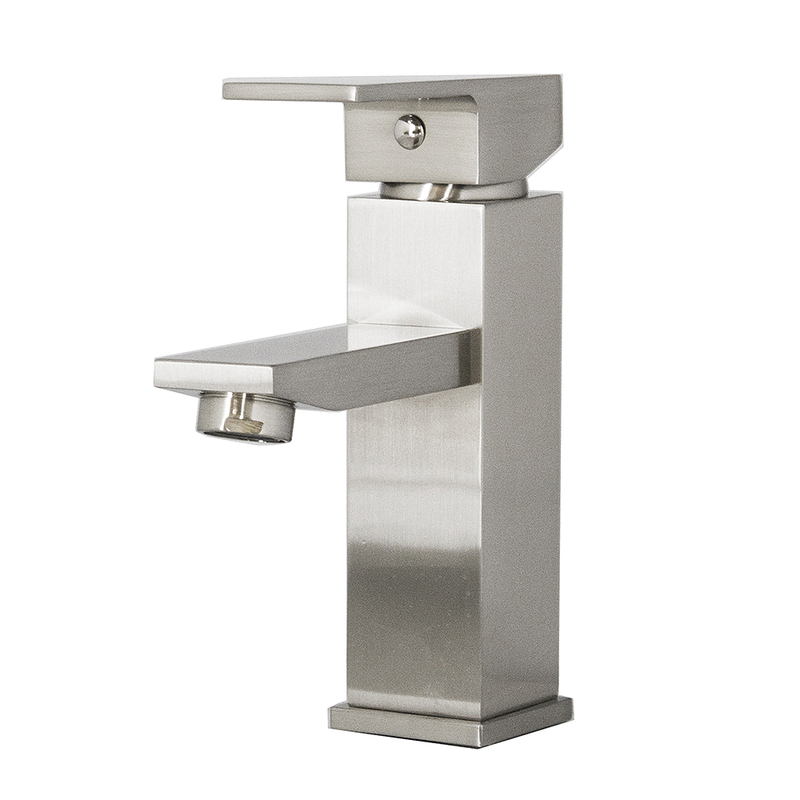 A polished chrome is one of the most versatile finishes for a faucet. It is also the most popular. It stands out in any bathroom vanity. It is the most inexpensive finish and the most easy to clean and maintain. It is very durable and easy to match with other fixtures and bathroom accessories. Works with most any style. A downside is that it shows fingerprints and water spots very easily. A soft metallic finish that gives off a more unique look to a bathroom. One of the more durable finishes available. Does not show wear, fingerprints or water spots. Easy to clean and easy to match with other accessories and fixtures. Relatively inexpensive but tends to be pricier than chrome. While brushed nickel has its advantages, a downside is that It blends to its surroundings instead of being a statement piece. Lighting - Keep in mind where the natural and fluorescent lighting are coming from to get the best lighting in your bathroom. Storage Space - Storage space is very important when choosing a vanity. Keeping the room looking clean and tidy will keep your bathroom looking elegant. If you already have a lot of storage in the bathroom, you won’t really need to worry about how many drawers or doors you have on the vanity. Hire a Professional or DIY? Installing a freestanding vanity is usually easier to set up than a floating vanity. If you are installing a vanity for the first time, or if you are on a tight schedule, hiring a professional may help. As with any design, building or remodeling choice, you will be living with your bathroom vanity for a long time. There are countless number of combinations to choose from. Pick one that is functional, fits your lifestyle and one that you love. Considering a supplier and brand is always an important factor. 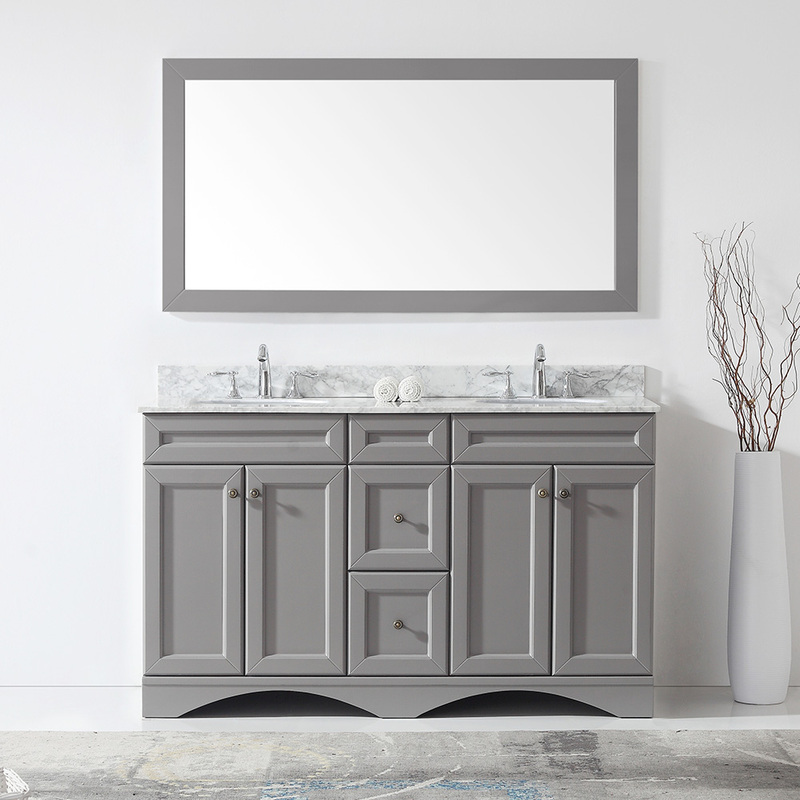 Keep in mind that if you opt for purchasing a vanity in person at a store, the options are limited as walk in stores tend to only carry smaller sizes to display. Ordering online expands your size options since they will be shipping to your bathroom location. For further information about customizing your bathroom vanity, call one of our specialized professionals at Luxury Living Direct. We have many years of experience helping customers like yourself and would be more than happy to guide you. Call (800) 574-3022 today or browse the many bathroom vanity sets that we have in our online store.